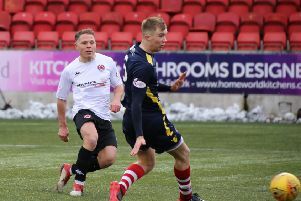 Clyde are just one win away from guaranteeing a top four finish and a promotion play-off place after beating Elgin 2-0 at Broadwood on Tuesday night. The win moved Danny Lennon's side 19 points clear of the fifth-placed Hughlanders with just seven games of the regular season left to play. Clyde started on the front foot against an Elgin City who had beaten them at Borough Briggs only 10 days previously. 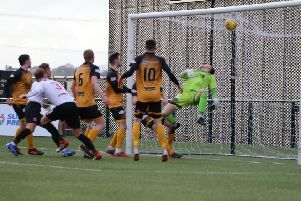 In just two minutes Scott Banks brought out a save from former Clyde keeper who diverted his shot behind for a corner. But the Bully Wee's opener wasn't long in coming. It arrived in the 16th minute and again Banks was involved, playing in Jack Boyle to slide the ball low past Gourlay. David Goodwillie, Chris McStay and John Rankin all came close to adding to Clyde's advantage, but it remained 1-0 at the interval. Clyde again pushed forward early in the second half and in the opening few minutes Goodwillie forced a save from Gourlay, Rankin hit the outside of the post and Banks saw another effort kept out by Gourlay. But the second goal finally arrived on 72 minutes as a corner appeared to go in via an Elgin defender. Clyde could have added to their tally but in the end they settled for two goals and three points which brought the play-offs within touching distance and closed the gap on leaders Peterhead - surprisingly beaten at Berwick - to eight points. Next up for Clyde is another home match - their third in a week - against fourth-placed Annan Athletic on Saturday.